Hundreds of activists have marched through Montreal, Canada. 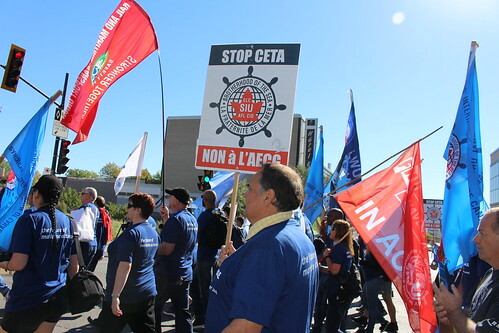 Workers from ITF unions representing around 50 countries were joined by local activists and Canadian unions. But why were they marching? Watch this and find out (video in English & French). "Two different unions, but one heart beating together." An activist from one ITF union has been explaining how they won for workers. Activists have been learning activists at the Maritime Roundtable 2016 (#MRT2016) in Montreal, Canada - campaigners from around 50 countries have been sharing tips. Here is one of their success stories.